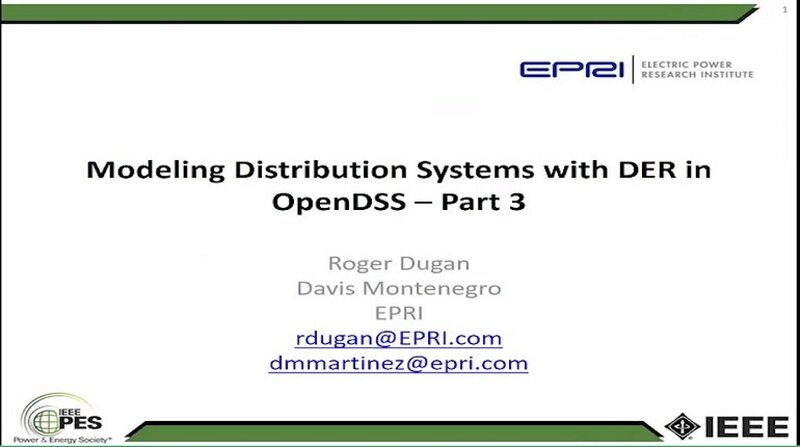 This webinar introduces the use of OpenDSS-PM (Parallel Machine), which is derived from EPRIs open-source Distribution System Simulator, OpenDSS, to accelerate QSTS simulations using multi-core computers. It is important since a sequential simulation is a very computationally intensive process. Modern computing architectures are characterized for introducing the concept of multi-core computing. This feature allows the performance of applications to be improved by distributing tasks on multiple cores to work concurrently. This feature in modern computers created the obvious need for taking OpenDSS into a parallel computing simulation suite. OpenDSS-PM is used to implement temporal parallelization and Diakoptics based on actors as techniques to reduce the time required in QSTS. Faster QSTS simulations will provide distribution engineers with a more accurate understanding of the impacts of solar variability and high penetrations of PV on the distribution system.